T.S. 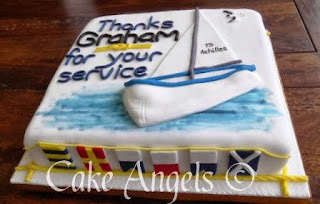 Achilles, based in Orakei, Auckland, New Zealand,the Commanding Officer, Graham Ford, retired from official duties. 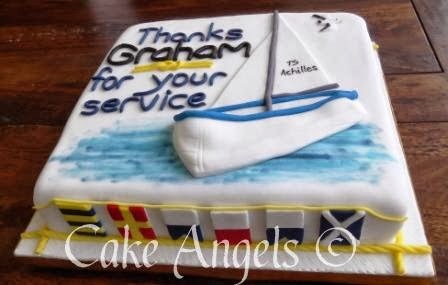 This farewell celebration called for a large Cake. 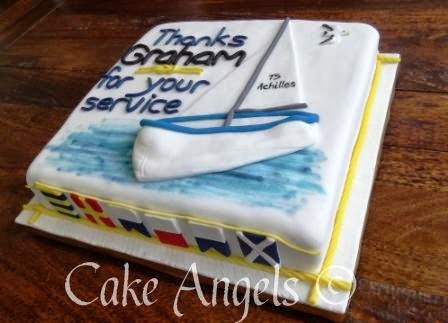 Using the Maritime Signal Flags along the front of the Cake to spell out Graham's name, was a quirky touch by the Cake Angels.